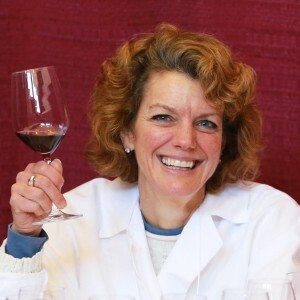 Jill A. Ditmire is an Omnimedia Wine Specialist and owner of the Mass Ave. Wine Shoppe in Indianapolis, Indiana and is an AWS Certified Wine Judge. Jill shares her wine wit and wisdom via radio, TV and print. She teaches, consults and travels as buyer for her Wine Shoppe/Cafe. She judges a number of wine competitions each year, as she just loves to spit. Jill lives in Indianapolis with her number one fan, Harp her black and white mixed breed pooch.